Each wedge-shaped segment of the ball is chromolithographed with scenes of a baby engaged in various activities as would befit a Victorian child. Each action is titled in print beneath. 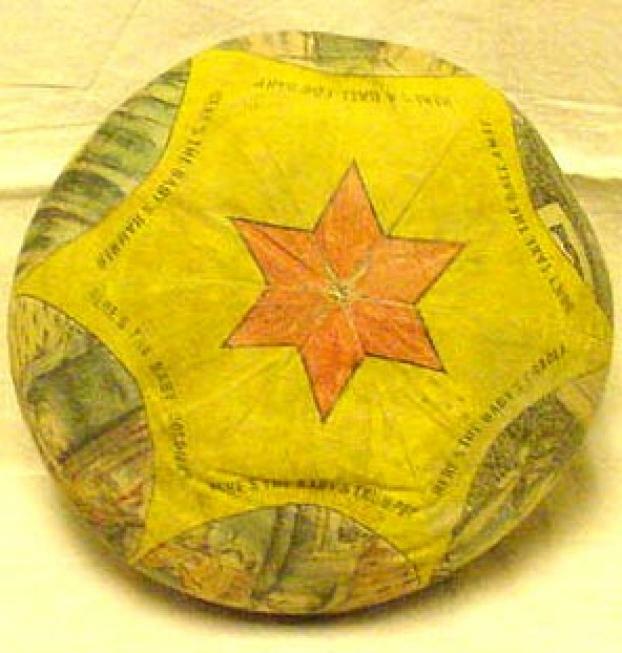 When the pieces were cut out from the pattern and sewn together| a red star came together at the center of the ball| top and bottom. This is in pretty terrific condition considering its ephemeral quality| its use and its age.